U of O Neuroscientist Considers "Infinite Awareness"
Marjorie Hines Woollacott talks science and meditation. Dr. Marjorie Woollacott at the University of Oregon knows at thing or two about the human brain. You know... nerve tissue, chemicals, electricity. But once she started meditating, her own conception of human consciousness changed in a big way. 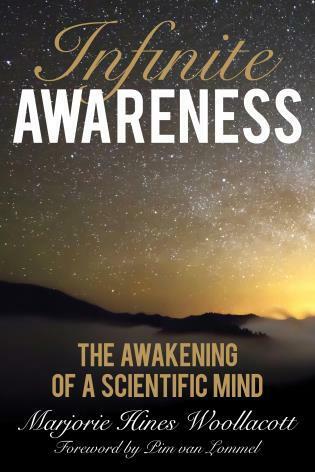 The collision of neuroscientist and meditator produced a book, Infinite Awareness: The Awakening of a Scientific Mind. Dr. Woollacott travels to the studio to talk about her work and how it's changed over the years. Anil Ananthaswamy pulls back the curtain on investigations into the self. "I think, therefore I am." Rene Descartes said it succinctly, but nearly 400 years later, we still struggle to fully comprehend the idea of SELF. If we change physically, does that mean we change ourselves? Before you attempt to answer, listen as we talk to Anil Ananthaswamy about his brand-new book The Man Who Wasn't There: Investigations Into the Strange New Science of Self. How To Make And Use "The Well-Tuned Brain"
Peter Whybrow fires up our brain cells on the subject of tuning. Our brains are capable of amazing things, but they are just a little behind the times. Psychiatrist and author Peter Whybrow reminds us that the brain's construction is about survival in the wild, not about navigating a land of plenty in food and consumer goods. So we need a tune-up, he says, in The Well-Tuned Brain: Neuroscience & The Life Well Lived. Dan Hurley talks about how he used himself as a guinea pig in boosting brain power for his book "Smarter." Do you know your own IQ? Better question: do you think your IQ number indicates a ceiling of sorts, a boundary beyond which your brain cannot go?